Our Tee Caddie Cafe is open 7 days a week to the public. We offer a range of meals and snacks for all occasions from breakfast to lunch. Especially popular are our afternoon teas which are offered everyday of the week but advanced booking is required. Whether your looking for a bar meal or a light afternoon snack we have all the bases covered. 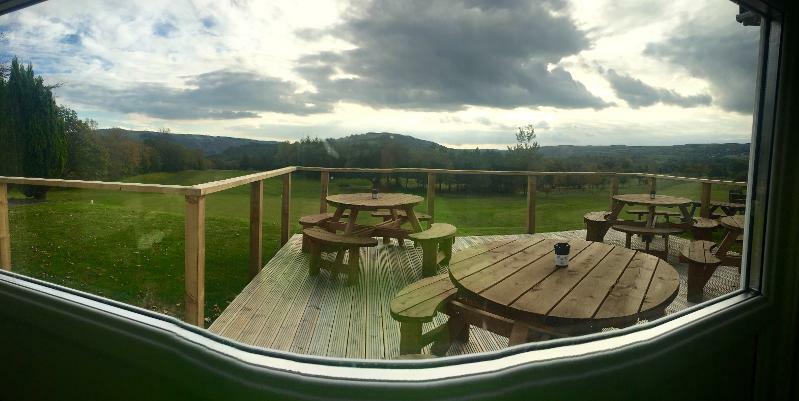 With spectacular views across the valley from our cafe, enjoying time with friends and family makes the Tee Caddie cafe a superb venue for any celebration or event. Consisting of an assortment of sandwiches and cakes and the option of having a cup of tea or a glass of Prosecco, our afternoon teas are a perfect excuse to meet up with friends, family and colleagues.